WASHINGTON - The Pentagon’s counter-terrorist support office issued a report that suggests that Iran has established signals intelligence stations in several parts of the Middle East, including the coast of the Mediterranean Sea, and mainly in Syria. According to the report, the stations were established by Iran’s Islamic Revolutionary Guard Corps together with Damascus. 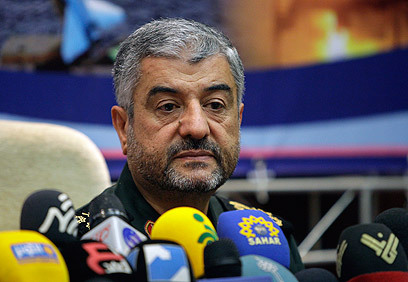 “Two Iranian-Syrian stations funded by the IRGC reportedly have been active since 2006, one in the Al Jazirah region in northern Syria and the other on the Golan Heights,” said the report. The report, issued last month and prepared by the Library of Congress, said the IRGC was planning to establish additional listening stations for northern Syria. The stations were meant to supply information on Israel to Hezbollah, Iran’s leading proxy. The report further said that the Iranian Ministry of Intelligence and Security (MOIS) is lining up Iranian-born Israelis. Last week, the New York Times reported that United States government officials and security researchers believe that Iran is behind a series of major cyber attacks against American banks in recent weeks. According to the report, Obama administration officials estimate the attacks are likely in retaliation for economic sanctions and online attacks by the US. In November, British newspaper The Sunday Times reported that Israeli spy satellites have recognized a cargo ship, docked at an Iranian port, being loaded with missiles presumably bound for the Gaza Strip. It appears that the ship's cargo includes Fajr-5 missiles, which terrorist groups have already fired at Tel Aviv and Jerusalem during Operation Pillar of Defense, and possibly Shahab-3 missiles, which can hit deep in Israeli territory. See all talkbacks "Report: Iran gathering info on Israel from Syria "